We are pleased to announce that the Board of Directors of Premiere Horizon Alliance Corporation (“PHA” or the “Company”) has set the Record Date to May 15, 2018 for the Property Dividend of Redstone Construction and Development Corporation (RCDC) shares and Cash Dividend as disclosed to the PSE on March 20, 2018.
withholding taxes on the property and cash dividends so declared. 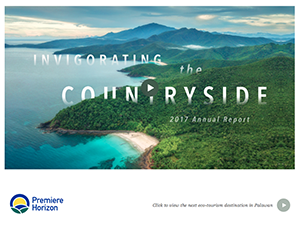 The property dividend will come from the Company’s unrestricted retained earnings as of December 31, 2017. The property dividend ratio will be paid at 1,346 RCDC shares for every 10,000 shares of PHA. No fractional shares shall be issued. In case a stockholder is entitled to a fractional RCDC share, the Company shall pay for such fraction in cash based on par value. Together with the property and cash dividends, the Board also approved the grant of 268 million detachable nil-paid warrants that will entitle the warrantholder to acquire one RCDC share from PHA for each warrant held. The strike price of the warrants and the final terms shall be finalized and subsequently disclosed. The warrants shall be applied for listing in the Philippine Stock Exchange. The Payment Date of the Property and Dividend Declaration shall be upon the approval by the Securities and Exchange Commission.